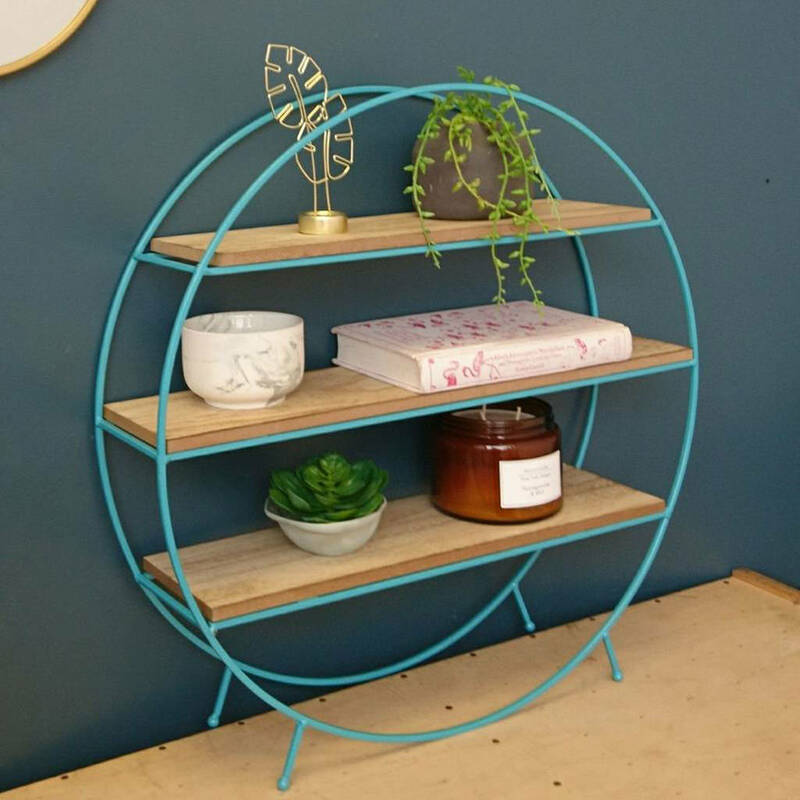 A gorgeous round teal standing wire display shelf. 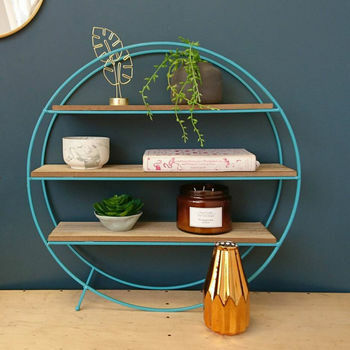 This free standing display unit has three wooden shelves which sit inside a beautiful teal coloured round metal frame. 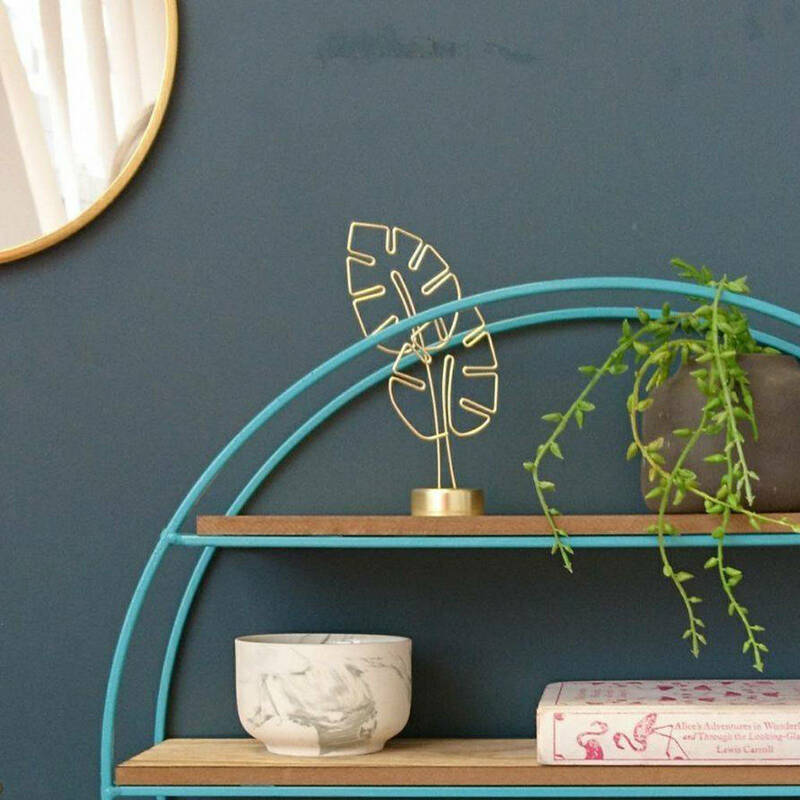 This contemporary and industrial style shelving unit can be used to display small plants, succulents, candles, photoframes and more. 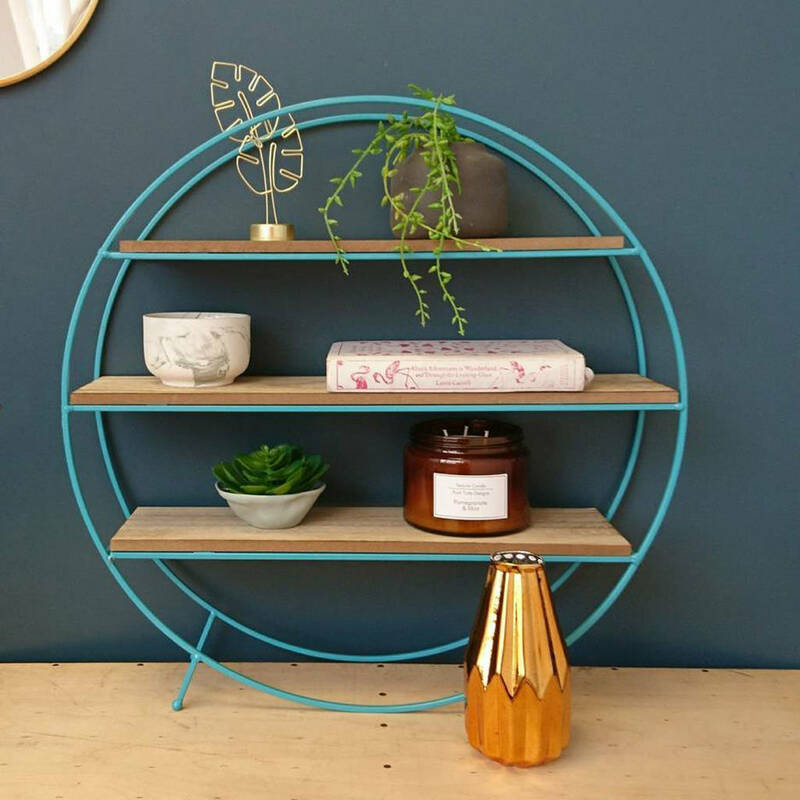 Beautifully modern and on-trend, this teal blue display shelf unit will make an aesthetically pleasing and practical feature in your home. A great way to add a pop of colour into a neutral living space.